LCpl James Hylands (39), from Shaw, Oldham is a TA soldier who is currently serving with 8 Troop, 73 Armoured Engineer Squadron (AES) on Operation HERRICK 17. 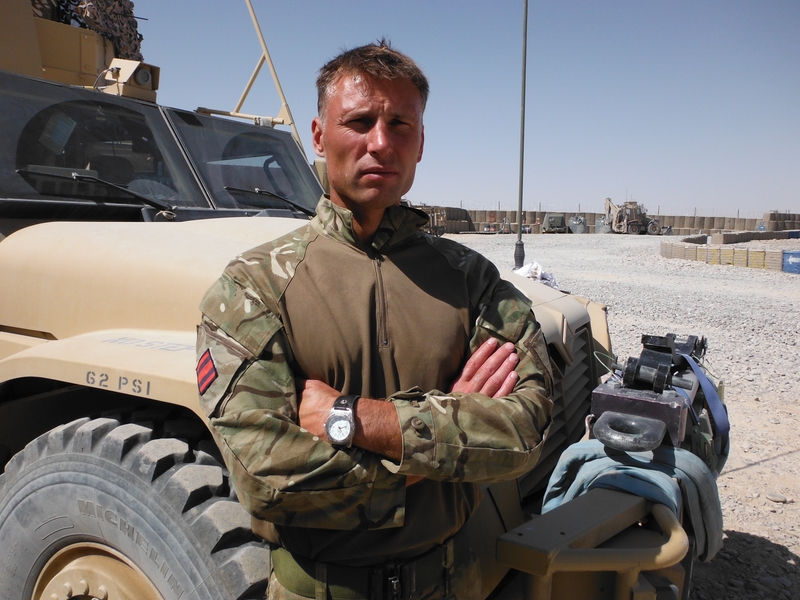 He deployed along with the rest of 21 Engineer Regiment (21 Engr Regt) as part of Task Force Helmand Engineer Group, at the beginning of September 2012. Whilst on tour the squadron is known as Engineer Close Support Squadron 1, which covers the northern areas of operation of Task Force Helmand (TFH). Nearly 16 weeks have passed and the time has come (and gone) for R&R (rest and recuperation) a break from the life at Patrol Base (PB) Clifton. A build-up of excitement surrounds you in the run-up to your R&R departure date, but the need to stay alert and switched on in an ever-changing environment is forever in your mind. The sun baked days with record breaking temperatures have now been replaced by cold cloudy days and even colder nights. Temperatures in the minus figures during the night present a new catalogue of problems for the Clifton team. Water during the night quickly freezes with pumps and motors struggling with the extra demand placed on them from frozen water. The huge need of washing water in the morning time quickly has the lads out of bed trying to solve the problems now presented to them. Flown back to Camp Bastion for R&R three days prior to your departure date, you attend the mandatory brief, basically about behaving yourself and the dos and don’ts during your two-week break. It must be a headache for the management; here we have predominately young outgoing men who need time to rest operating in a stressful and challenging environment for weeks on end – to then be presented with two weeks’ freedom with extra non-spent money in their bank accounts. Historically within the military system holding rank has its privileges, higher the rank better the privilege that’s the way it generally works with the exception of ‘Space A’. For people returning to the UK for R&R the time allocated is 14 days including your travel time, effectively less the travel time you get 12 days at home (on average). Where Space A comes into effect is if there is an aircraft returning to the UK, not full, the seats are given out to the lowest ranking person first to return home slightly earlier to commence their R&R normally (2-3 days if you are lucky), hence the movement back to Camp Bastion 3-4 days before your fly date. The kit that you have been lugging around with you for the last couple of weeks is handed back in. Your 20kg Osprey body armour is replaced with a lighter flap jacket and your helmet stays with you for the return home. Your weapon which has been constantly by your side or under your bed while you sleep, is placed in the armoury upon your return. To be honest, once everything is handed back in you feel like you have lost something, for the next day or two when you get home, you are looking were you have placed your weapon; leaving or losing a weapon in theatre holds high consequences. From Camp Bastion you pick up an RAF aircraft direct to the Middle East, a quick changeover to a civilian aircraft and 18 hours later I was catching a train from Oxford to Manchester. Since November 2012 we have been waiting for a decision on the future of PB Clifton, is it to close? Be handed over to the Afghan Army? Nobody really knew. Just prior to my R&R, a decision was made that it would be downsized, restructured and handed over to the Afghan Army early 2013. So here I stand now, fresh from R&R, transported by a Merlin helicopter back to PB Clifton, looking out of the window, not recognising the place. 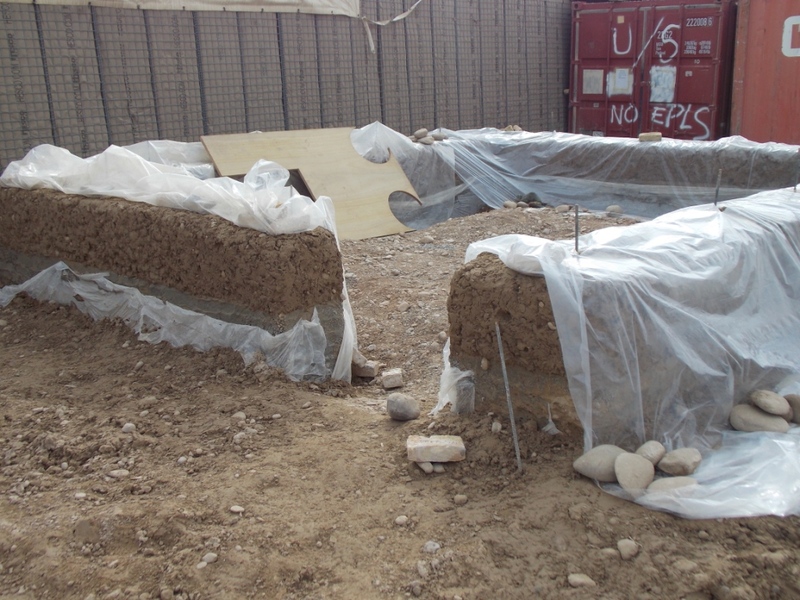 Sangars have been moved, Hesco walls removed, more walls constructed, the place has totally transformed – construction is going on all around me as I’m left on the ground as the chopper flies away. I see Cpl Rothwell approach me with a smile, he can see I’m bemused by the whole surrounding area. “Come on,“ he says, ”I will put the kettle on and explain all.” I have only been gone three weeks I think to myself. This entry was posted in 202 Field Sqn, 21 Engr Regt, 75 Engineer Regiment, TA and tagged 202 Field Sqn, 21 Engr Regt, 75 Engr Regt, Afghanistan, British, British Army, Engineer, Engineers, hylands, Op HERRICK 17, reserve, sapper, soldier, TA, territorial army. Bookmark the permalink.